Something old: To be a successful company, you need a product that is valuable to its consumers. The value of a product plays a core part in the sustainable competitive advantage which a company strives to achieve over its competitors. Something new: The Value Communication AG not only identifies three factors that are core elements of what makes a product valuable, but also connects them. These elements are part of the Value Eco System. 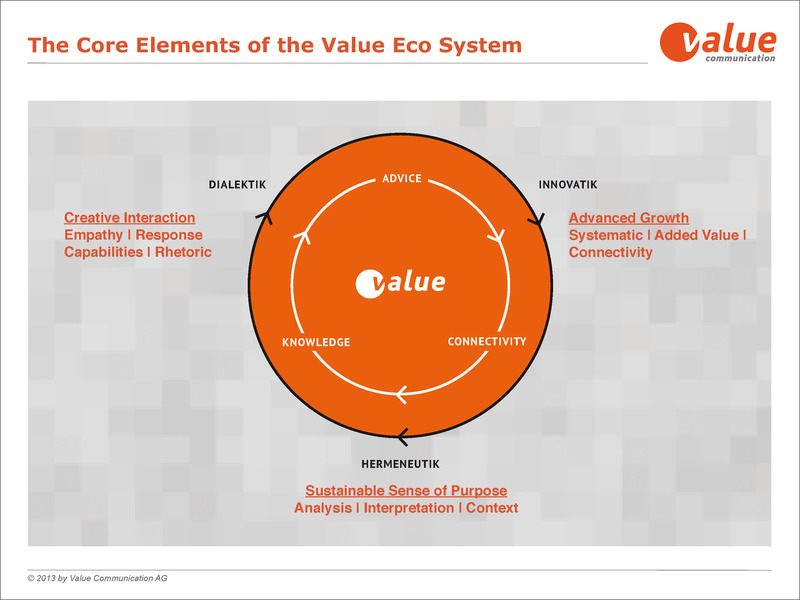 The Value Eco System outlines the essential factors that are necessary to create valuable communication. It is critical to consider what makes the communication from human-to-human important. This can be compared and transferred to every form of media communication and other communication processes. We need: discussions, resonance on discussions, dialogues, discourses and interactions. We need to understand innovative technology to transfer innovation into relevant marketing communication. 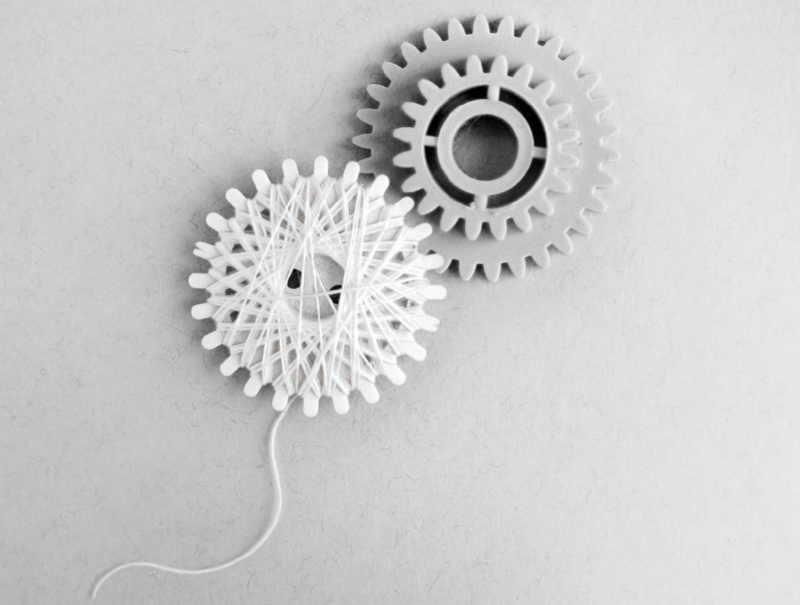 We need a sustainable sense of purpose of what we do, about what, and how we communicate. Coca-Cola – The Coca-Cola Company is over one hundred years old and has a phenomenal brand awareness of over 99% worldwide. A few weeks ago, Coca-Cola introduced new bottles featuring the most common 150 first names of selected countries across Europe on its famous ‘red label’. While the idea of personalising a product is not new in the industry of fast moving consumer goods and has been done by Coca-Cola in Australia and New Zealand in 2011/2012, it has never been done with this kind of magnitude. Dialectic: Through the individualisation and personalisation of the product, Coca-Cola interacts with its consumers. Also, via Facebook companies like Coca-Cola are able to partake in a dialogue with its consumers and react on feedback. “For those who can’t find their names on a pack, the ‘Share a Coke’ campaign is also brought to life online, where, personalised virtual Coca-Cola cans can be created and shared with friends. Consumers will also be able to visit roadshows where they can use a customisation kiosk to print their own name on a can” which Marit Kroon, Coca-Cola Marketing Manager Central and Southern Europe states. This scenario is a classical win-win situation for both parties, brand and consumer. Innovatic: The innovative aspect behind Coca-Cola’s new personalised printed labels lies in the work input executed by the company. Government records needed to be systematically analysed to select the most common 150 first names of each country. Depending on the country and the location of the records, this was a challenging task for Coca-Cola. Furthermore, the technical conversion to print millions of labels digitally as fast and as accurately as possible had to be solved by Coca-Cola and their partner HP Graphic Solution Busienss. Hermeneutic: The sense of purpose of Coca-Cola is relatively debatable. It can be argued that a Coke is not your healthiest choice of a drink. However, many people enjoy the taste and the feeling it triggers. From Coca-Cola’s point of view, the sense of purpose of its new packing campaign is to bind the customer to the product. Coca-Cola has achieved the desired result. For the company, it is a great step forward to become a valuable marketing communication leader. Great analysis and Value Marketing Check! — Well done, Jenny.